After a hectic opening day at the Khalifa International Tennis and Squash Complex, all and matches will now be on the Glass Court and Round Two began today with eight matches in the top half of the draw. 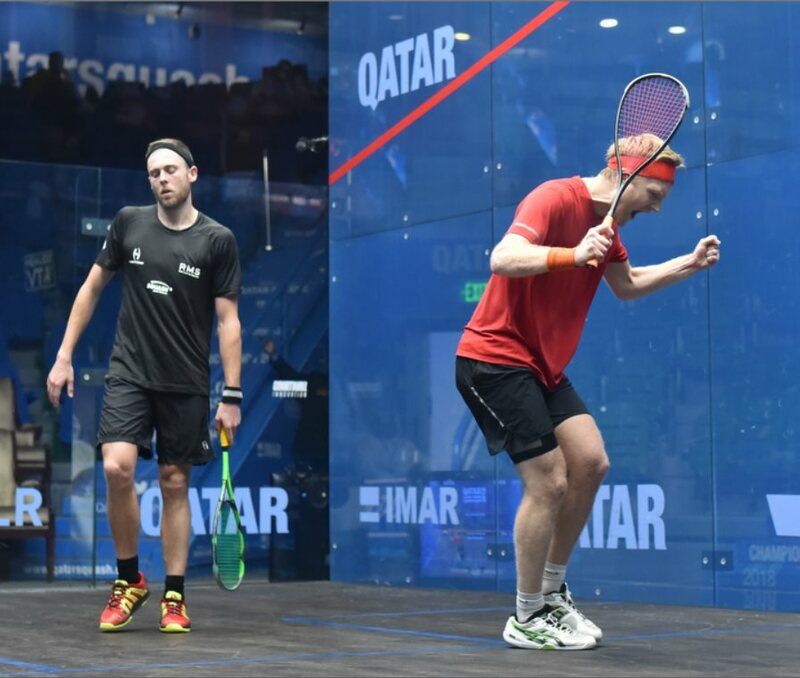 While all the seeded players progressed today, including defending champion Mohamed ElShorbagy, it was the English pair of Adrian Waller and Tom Richards who produced the day’s outstanding performances. Waller blitzed past former world #3 Omar Mosaad for the loss of just seven points, while Richards produced one of his best performances to oust Austalian #2 Ryan Cuskelly. ElShorbagy looked to be cruising to victory against Yip Tsz Fung, but the Hong Kong player fought back well, almost forcing a decider before the world #1 snuffed out the danger. Elsewhere, seeds Simon Rosner, Paul Coll and Diego Elias progressed with something to spare, while Borja Golan and Mazen Hesham both reached the last sixteen with close wins over fellow non-seeds.